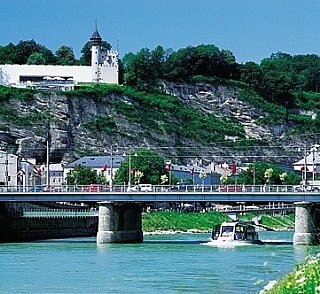 The most important sights by bus and a boat trip on the River Salzach. 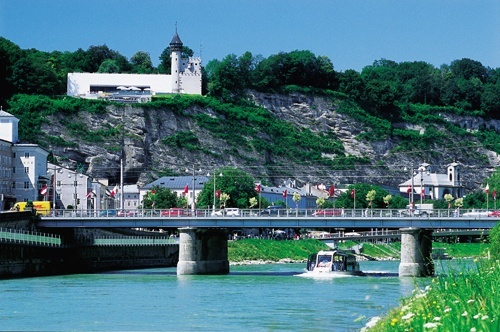 The tour leads from Mirabell Palace to the newer part of the city with the Mozarteum and Mozart's Residence - then crossing the River Salzach into the Baroque old part of the city with the Cathedral and the Festival district. The tour continues to Leopoldskron Palace and passes the Nonnberg Abbey on the way back to the Mirabell Square. Daily Departures at: 10.00 am, 11.00 am, 12.00pm, 1.00 pm, 3.00 pm, 4.00 pm, 5.00 pm and upon request.